Moonbow has expanded its product portfolio of water purifiers with the launch of Alpheus UV + UF - India’s most powerful UV water purifier. Priced at Rs 9,490 the water purifier has been certified by TUV, world renowned German certification lab. The purifier removes up to 100 crore microbes per 1 litre of water as against 1 crore microbes removal by ordinary aluminum based UV water purifiers. Alpheus UV + UF Water Purifier has been designed especially for areas with low TDS levels as RO purification in these areas can lead to depletion of essential natural minerals from the drinking water, hence making it unhealthy. RO based water purifiers remove essential minerals present in the water along with heavy metals and all other impurities. Hence, when RO water purifiers without Mineral Fortification technology are used in areas with low TDS water supply, the mineral content of purified water falls below necessary requirement for the body. Whereas, UV water purifiers are capable of removing all the impurities in low TDS water while maintaining essential natural minerals. UF when combined with UV filter acts as double protection shield against bacteria and cysts. Hence, UV + UF is the ideal combination of water purifier for cities with low TDS water supply. The water purifier is the best in its category as it comes with a single body stainless steel UV sterilizer as compared to existing aluminum body UV water purifiers. The stainless steel UV sterilizer makes the water purifier’s performance much more efficient and its single body design ensures zero leakage of UV rays from the sterilizer barrel. Also, unlike aluminum UV sterilizers, it further protects from unhealthy leaching of heavy metals like aluminum and lead in water, thus making the water 100% safe and healthy. The water purifier is stylish, sleek with 7 litre storage tank and comes with user friendly interface with Power, Tank Full, Failure Alert and Filter Replacement Indicators. Moonbow Alpheus UV + UF offers lifetime warranty on its stainless steel UV sterilizer thereby reassuring consumers of its performance, whereas, other UV water purifiers available in the market come with a warranty of only 1 year on UV barrels. HSIL Limited makers of iconic sanitary ware brand Hindware, entered the water purification segment with the launch of Moonbow Water Purifiers in mid of 2016 calendar year. 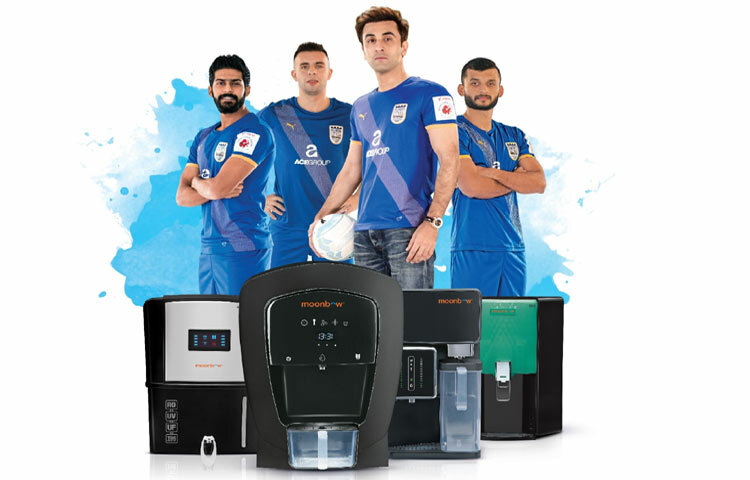 Today, the brand has six different models priced between Rs 9,490 to Rs 24,990 Moonbow water purifiers are available across key retail outlets pan India.